‘All in the details,' is a slogan proudly displayed across the staff member’s t-shirts at Super Chix, a fast-casual chicken joint boasting only the freshest ingredients. It didn’t take long to understand what these words meant, from the design and décor, quality food offerings, to its welcoming employees. 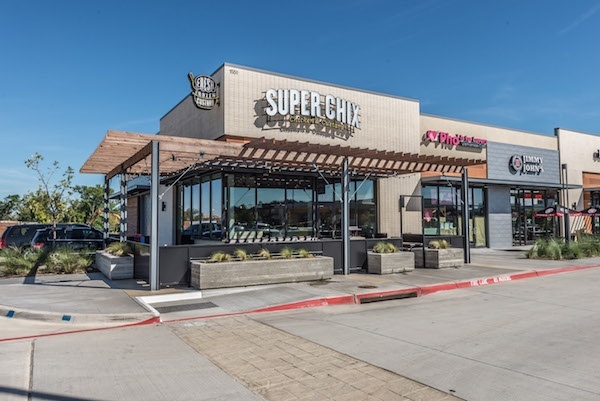 Super Chix opened its second location in Dallas-Fort Worth this past August at Regency Centers CityLine Market, marking its first since the buyout from Yum! Brands. The 2,500 SF space has a contemporary feel, designed in grays, whites and hints of canary yellow. 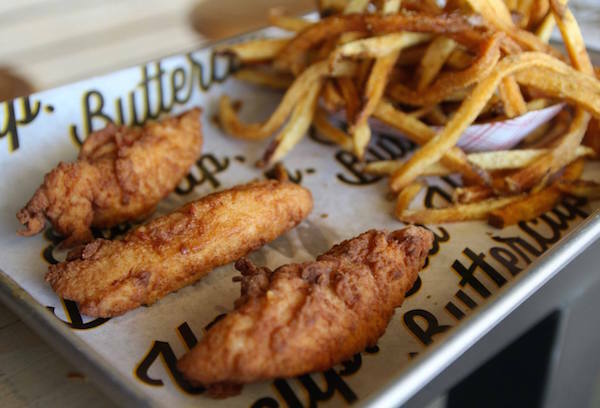 Super Chix’s menu includes simple, cooked-to-order chicken sandwiches, lightly breaded tenders and salads, all made without artificial ingredients. The fries are hand-cut from potatoes that have met the strictest, growing, storing and shipping standards. If you’re into toppings, Super Chix’s pickles are brined for 38 days, with no high fructose corn syrup or preservatives, and cut fresh daily (p.s. they also come fried — a must try). Every chicken sandwich or tender needs a good dipping sauce – let’s be honest, fries too. 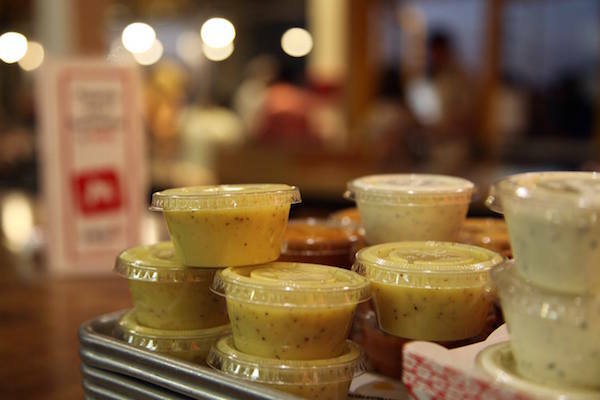 Super Chix has stepped up its sauce game by offering a range of zesty flavors such as Mississippi comeback, cucumber dill ranch, Alabama white, Nashville hot and a special signature sauce that would impress even Guy Fieri. Super Chix partnered with Stubborn Soda to offer naturally flavored soda options that contain no artificial sweeteners or high fructose corn syrup. 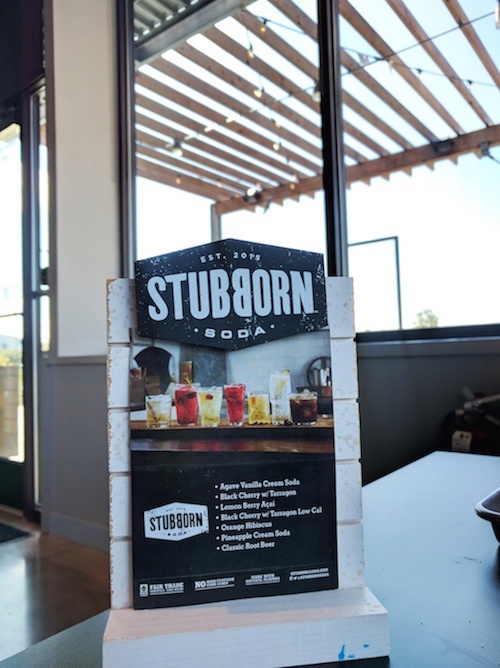 Stubborn Soda’s list of unique combinations includes lemon berry acai, orange hibiscus, black cherry with tarragon and pineapple cream soda. For those in need something a little stronger, Super Chix also offers a variety of craft brews and wines. Created from a blend of Madagascar bourbon and Indonesian vanilla beans, Super Chix’s homemade custard lineup includes pure vanilla, Dutch chocolate, and a flavor of the week – but if you’re unable to decide, a custard flight provides a sample all three. Drop the token at the redemption window when you're ready to ensure the custard doesn’t melt. First impressions are everything. As you walk up to Super Chix, you are greeted by an inviting patio space, shaded by a pergola enhanced with string lights. There is also a small area with games for families to enjoy with ample picnic-styled seating. 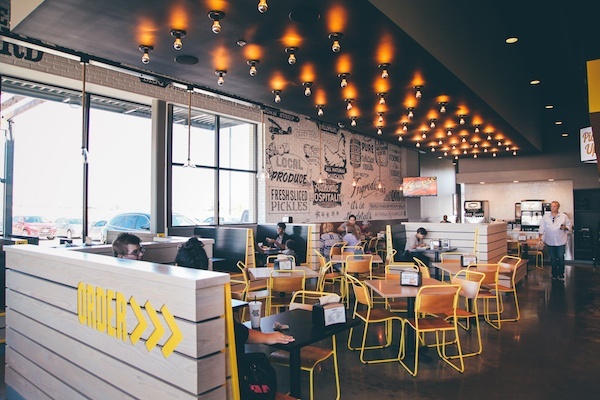 Inside the restaurant, modern, natural wood finished tables and chairs couple with larger booth options, all accentuated in Super Chix’s signature yellow. We all know the importance of getting the perfect food photo – if you didn’t photograph it, did really happen? Super Chix at CityLine Market has a modern, industrial styled interior, complete with a row of camera-ready lights stationed right above the dining area. However, if you prefer a flash-free shot, a collection of large windows allows for natural lighting, great for a well-contrasted photo. 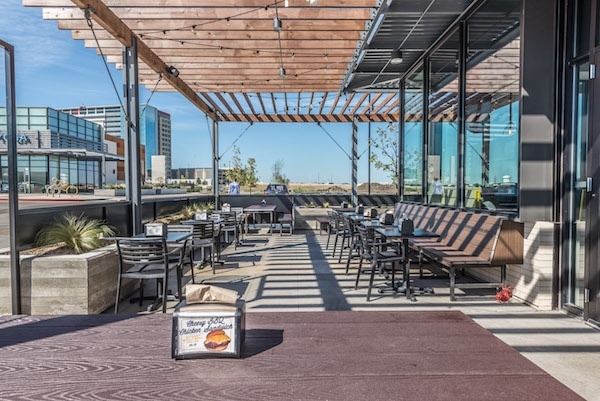 Richardson, TX CityLine Market is anchored by Whole Foods and contains more than 102,000 SF of retail, serving as the cornerstone of essential retail and dining to the massive mixed-use development, CityLine. The center is currently 100% leased; For a full list of retailers, click here.